Today in the French newspaper "Journal D'Alsace: an article regarding the Schlumpf affair and our new book. 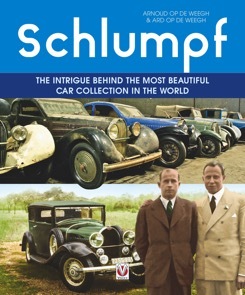 The English version of the Schlumpf book "Schlumpf, the intrigue behind the most beautiful car collection in the world" is ready and will be published in September 2018. 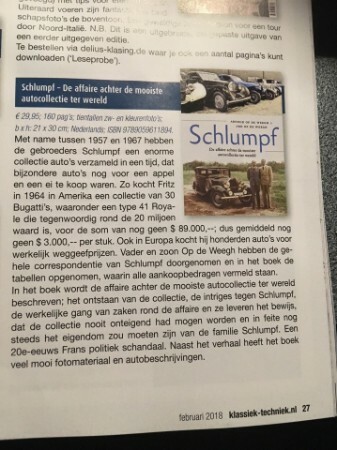 A review about our book "Schlumpf, de affaire achter de mooiste autocollectie ter wereld" in the Dutch magazine "Klassiek & Techniek". Today we've received the go-ahead that our new book about the Schlumpf collection/affair will be published in English language by Veloce Publishing. Everything will be arranged to get this book as soon as possible available. We're very proud of this. 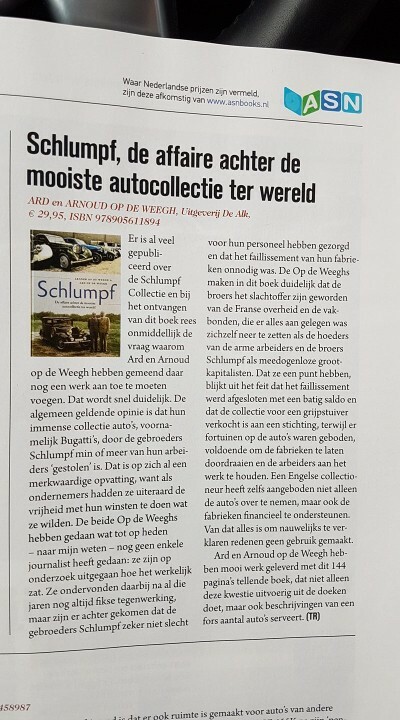 A review about our book "Schlumpf, de affaire achter de mooiste autocollectie ter wereld" in the Dutch magazine "Octane". 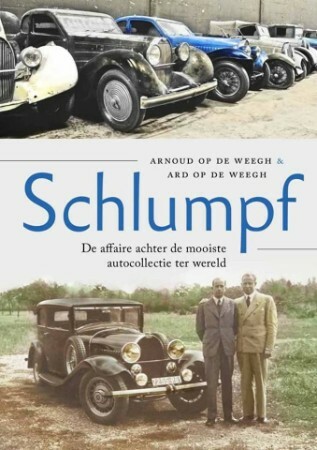 Last thursday we wer e invited to talk about our new book "Schlumpf, de affaire achter de mooiste autocollectie ter wereld" in the radio program "Op de koffie" (Omroep Gelderland, Dutch) from 10.00 until 11.00hrs. Please find this interview through the following link. For pictures please take a look at the slideshow. We've great news regarding our new book about the Schlumpf affair. The Dutch version will be published before the end of 2017 end we're trying to publish the English, German and French versions at the beginning of 2018. Today we've visited the Concours d'Elegance at Palace "het loo" in Apeldoorn (The Netherlands). We've added some pictures on this website. For pictures please click here. 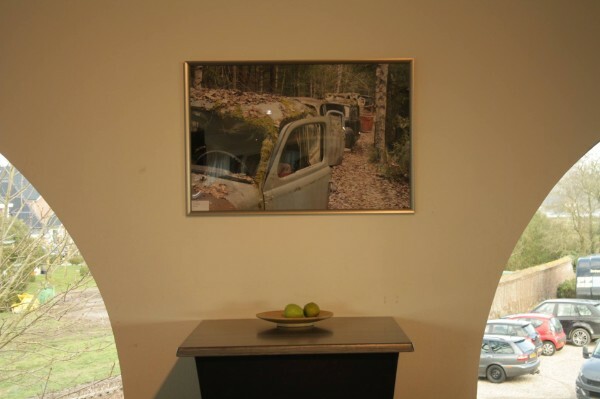 This week the Photo exhibition "De ontmoeting" (The Meeting) has ended. For anyone who is interested: we're offering the pictures (with frames) against competitive prices. Please find all the pictures that we're offering with sizes and prices under "Photo's for sale"on the left: or click here. Last wednesday (17th of February) the exposition "De ontmoeting" ("The meeting") has started at "The Gallery" in Brummen (The Netherlands). If you're curious, feel free to take a look! From the 17th of February until the 29th of march 2016 we'll present some of our pictures during an exhibition at "The Gallery" at Brummen (the Netherlands). At this exhibition we'll present pictures that we've made during our work in the oldtimer scene. If you have any questions about this, don't hesitate to contact us. Last friday we've visited the Retromobile in Paris. To see some pictures we've made, please click at the link at the left. Our first book "Het lot van de Slapende Schoonheden" (Dutch version of "The Fate of The sleeping Beauties") will be published for the second time in Holland. This 2nd print will be available at the 31th of Oktober this year. 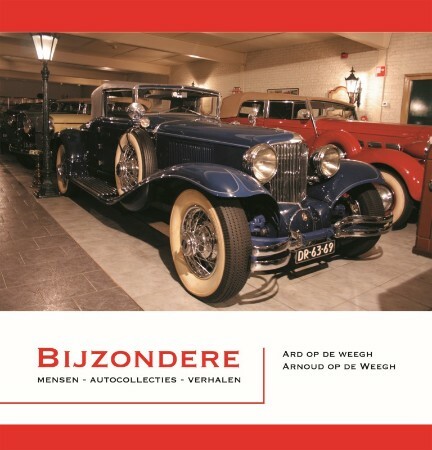 Last week we have published our new book "Bijzondere Mensen-Autocollecties-Verhalen". This book is about eight car collectors in the Netherlands and one from Belgium. You can find the pictures of our presentation here. Today we have visited the Concours d´Elegance at `Paleis het Loo` Apeldoorn. You can find the pictures here. 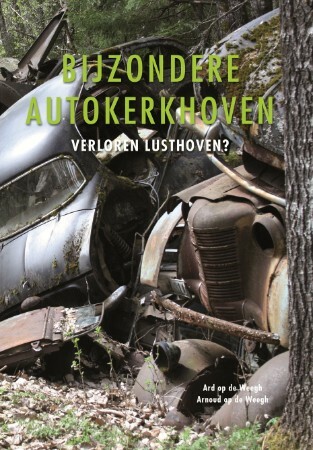 Yesterday our book Bijzondere autokerkhoven is published. The first books were handed out by ministre Schulz-van Haege and were going to Jaap Braam Ruben (Fine automobiles) and Ray Uiterwaal (Vice-president of the KNAC). We are very proud that this book is published. You can find the pictures of the presentation in the Louwman Museum here. The cover of our new book Bijzondere autokerkhoven is ready! The book will be available at the begining of november this year in Dutch language. Our new book about special car cemetries in Europe will be available in november this year. But you can allready pre-order it by the some online bookstores. This summer we have visited a car museum in Malaga. This museum was really amazing, a fantastic collection. You can find the pictures left by museums. Yesterday we have visited the dutch television. We were invited to tell the story behind our new book about special car cemetries. Tv Gelderland: Hallo?! 20th of may 2011. Last week we have visited the car cemetery. You can find the pictures here. The book "The fate of the Sleeping Beauties" will be published in French language. The publisher of this book is "Editions Palmier". 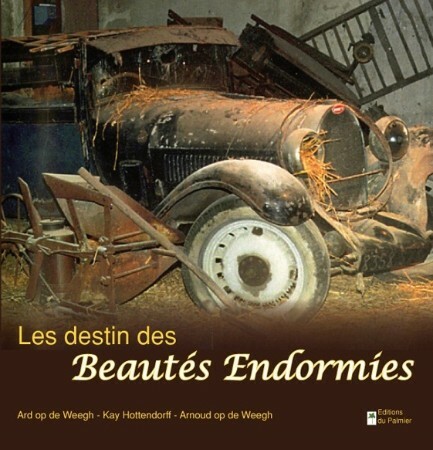 "Les destin des Beautés Endormies" is the title of this book. It will be available by the end of may. For our new book about special car graveyards in Europe we have visited Kaufdorf, Switzerland. You can see some of the pictures under the link "Kaufdorf". Our Co-author Kay Hottendorff has promoted our English book "The Fate of the Sleeping Beauties" in Jay Leno's Book Club. Our english publisher Veloce has made a video that tells the story behind the book "The fate of the Sleeping Beauties"
Yesterday we have visite Michel Dovaz in Paris to give him the first official example of "The Fate of the Sleeping Beauties". Monsieur Dovaz is very content with the book. 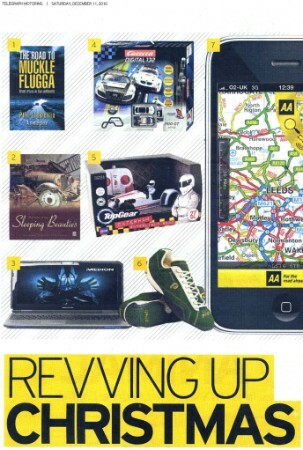 Sleeping Beauties in "the Telegraph"
"The fate of the Sleeping Beauties" is number 2 in "The Telegraph's" festive gift ideas! Today we had our first international lecture about barnfinds. We held our lecture at Kasterlee (Belgium) for the Jaguar Driver's Club Belgium. Tonight Jay Leno's had called us and he thinks "The fate of the sleeping beauties" is a terrific book! There is an interesting discussion going on about the true identity of the Bugatti T43 "#43186"and the stolen Bugatti T43 #43158 from Michel Dovaz. 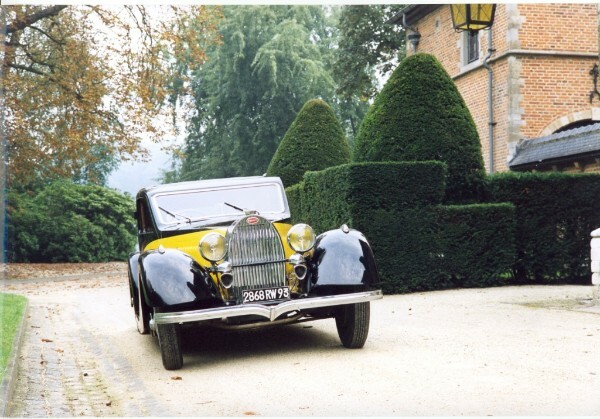 The Bugatti T43 #43158 was stolen from Michel Dovaz in 1975. And article in the Retrovisuer conclude that there is a relation between both T43. If you want to read more about this Bugatti please take a look at the following link or the discussion on the Bugattibuilder-forum. From now on our English book "The fate of the sleeping beauties" is available. Information about this book by Veloce. And off course at a lot of different book shops! Last week we have visited the new museum of the Louwman Collection in Den Haag (Netherlands). You can find the pictures by the topic museum. 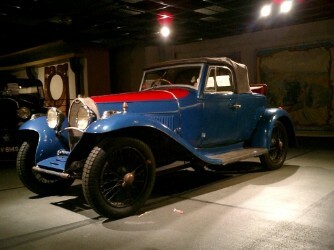 There are also pictures of the Automobilmuseum in Stainz (Austria). 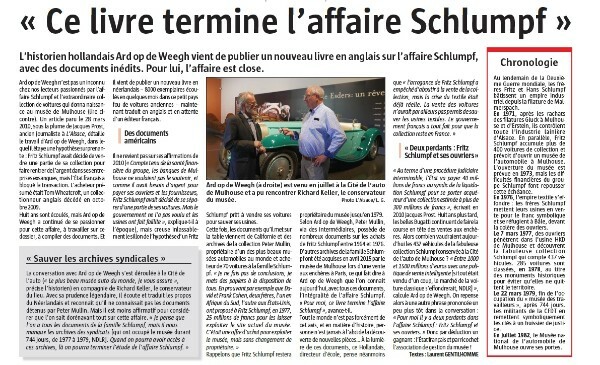 28th march 2010 the french newspaper "L'alsace" had placed an article about the "Schlumpf affair" written by Ard and Arnoud op de Weegh. Fritz Schlumpf tried to save his factories in 1976 by selling (a part of) his collection to Tom Wheatcroft. There was a witness at the negotiations. The transaction didn’t take place, because the French Government forbid it. Now it seems, that not the Schlumpfs were to blame for the bankrupt, but the French authorities. There were two victims: the Schlumpfs and the 2000 workers. The whole shocking truth in our new book, that has to come. On the Swiss TV and on the German channel Vox there was in january 2010 a documentary with Michel Dovaz and Ard and Arnoud op de Weegh. The famous Dovaz Collection is a hot issue in this documentary. For more information please look at this site. 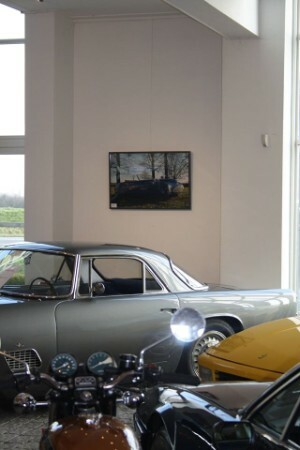 2 weeks ago we have visited a car collector in Gelderland (Holland). This man collect British cars. Take a look at English Car Col. 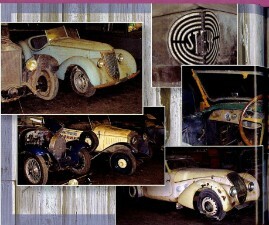 In November 2009 we have visited a dutch car-collector in Brabant, Holland. 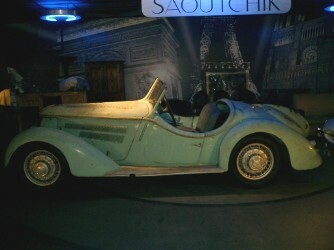 You can see the pictures by Dutch car collection. 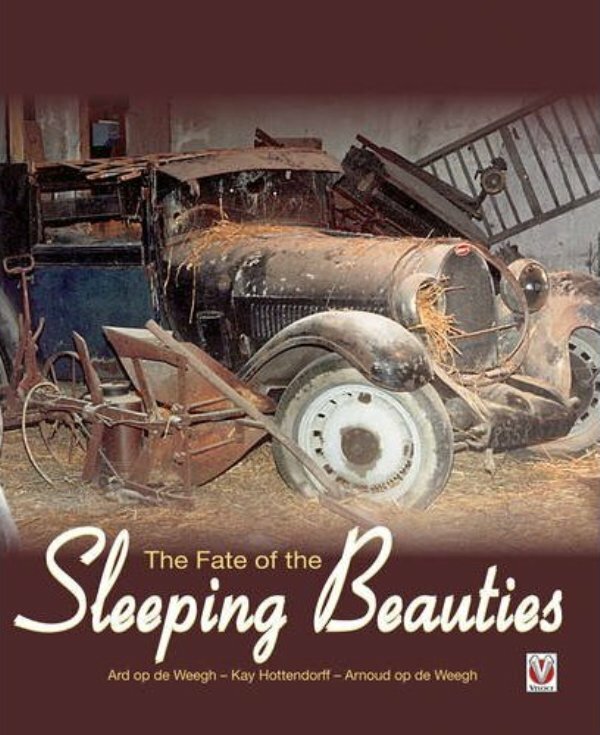 The Fate of the Sleeping Beauties is on the site of Veloce Publishing since a couple of days. And they hope they can contact a lot of other clubs and tell their story there. See Lecture Barnfinds for some pictures. 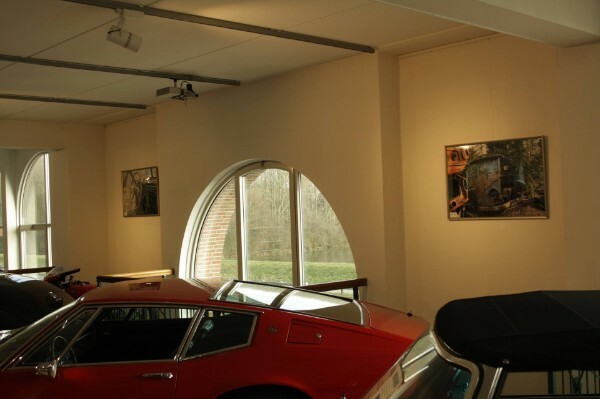 Two of the cars from the malmerspach collection are allready in the museum of the Peter Mullin Automotive foundation. The blue Bugatti T40 was also standing on the concours D'elegance at Pebble Beach 2009. 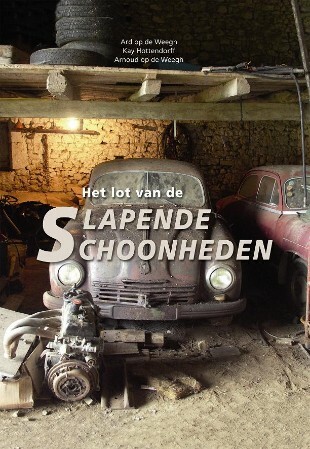 "Het lot van de slapende schoonheden" will be published by the english publisher Veloce and will be in the stores in 2010! If you have already decided to buy the book, you can mail ard@opdeweegh.eu and then we'll put you on the list. Ard and Arnoud op de Weegh are busy writing the book about the Schlumpf affaire. If you have information about this affaire that is usefull please contact them. Everything is welcome! 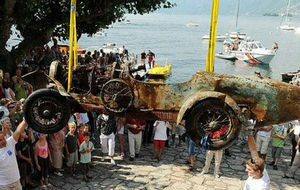 A couple of days ago a Bugatti T22 Brescia is discovered in the lake Lago Maggiore. 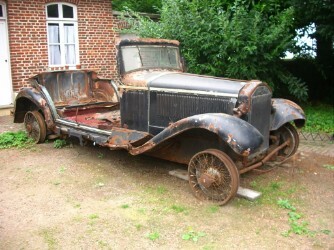 This Bugatti is been retrieved after 70 years! This website is a joint effort of Ard and Arnoud op de Weegh, writers of "The fate of the Sleeping Beauties" and Herman Brouwer, editor of www.bugattibuilder.com and www.bugattiregister.com. In recent times quite a few classic cars have been stolen, and this website is an effort to trace these cars and bring them back to the owners. 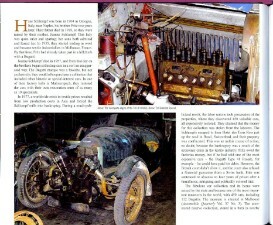 Please visit .www.stolenclassiccarregister.com where the process is explained. This site will go live in about a week time, but already there is the opportunity to subscribe to the mailinglist. Bugatti T57 Ventoux ex Dovaz Collection for sale! More info: cars for sale. 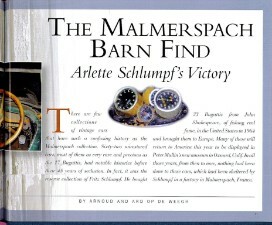 We have published an article about the "Malmerspach Collection" in Automobile Quarterly. More info: Schlumpf AQ on the left side. A great barnfild will be auctioned. The Bugatti T57S Atalante #57502. The car has droven only 42000 km! Our book is in the stores for almost 2 months now. We're getting very nice reactions from the readers. We thank them. It has been a pleasure writing this book!